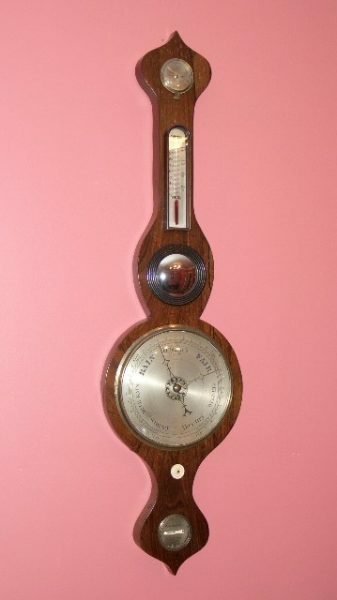 Victorian mercury wheel barometer with thermometer, hygrometer and level gauge. 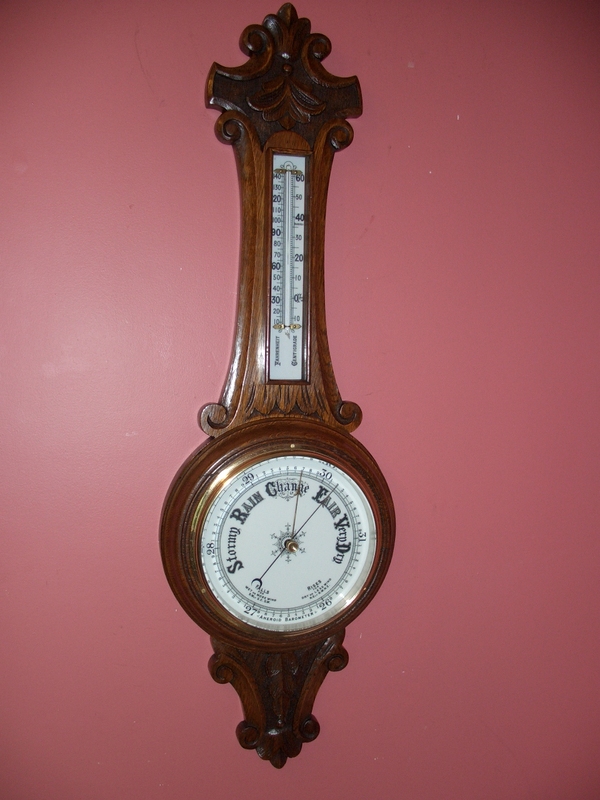 Mahogany cased onion top barometer with 8″ silvered dial and Fahrenheit thermometer. Made by “Ambrose Luvate” who is listed as a barometer maker in Preston in Lancashire in the 1850’s. Fully restored with one years guarantee.